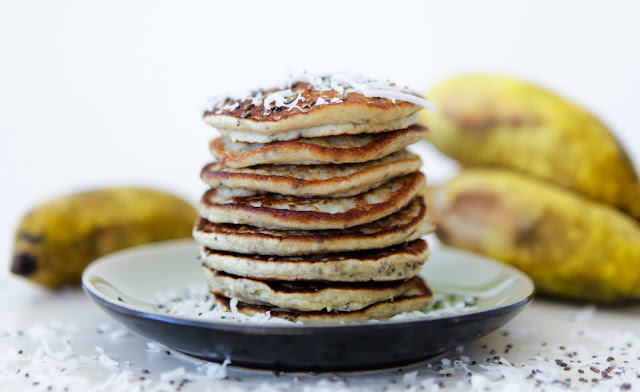 If you have been following my blog for a while, you know how much I love these 2 ingredient sugar banana pancakes (see recipe here) which give the batter a much thicker consistency than the standard bananas, just adding some shredded coconut and chia seeds really changes the texture and flavour. 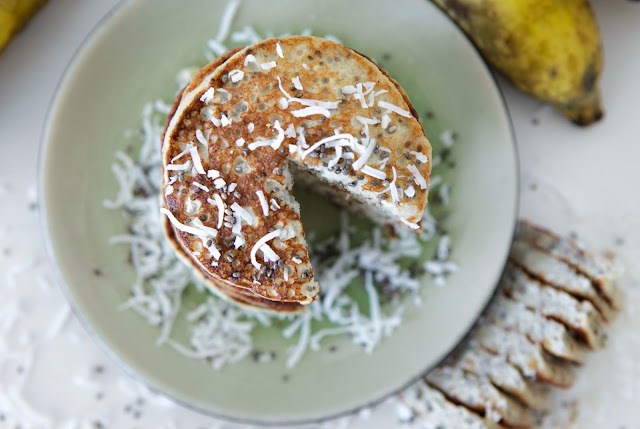 My husband who is the only one that doesn’t like the 2 ingredient sugar banana pancakes as much in our house loves this version. 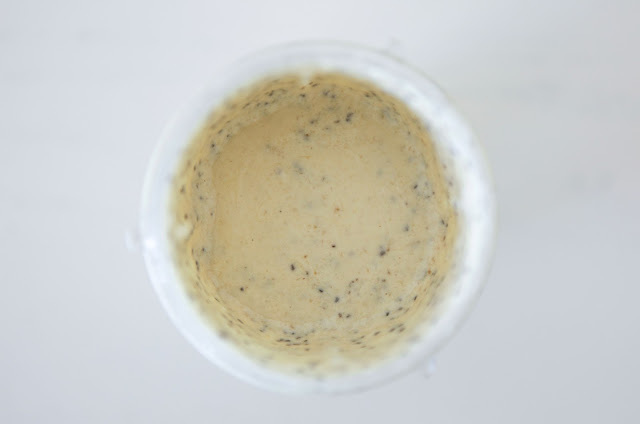 It’s a quick breakfast recipe and works well in lunch boxes, being nut free they work great as a school option for the kids too so you can pack up any leftovers for snack time. 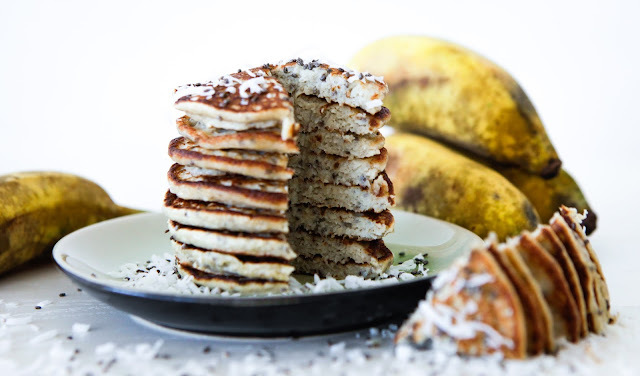 It’s really important to use sugar bananas for this recipe as your standard bananas will not make a thick enough batter. 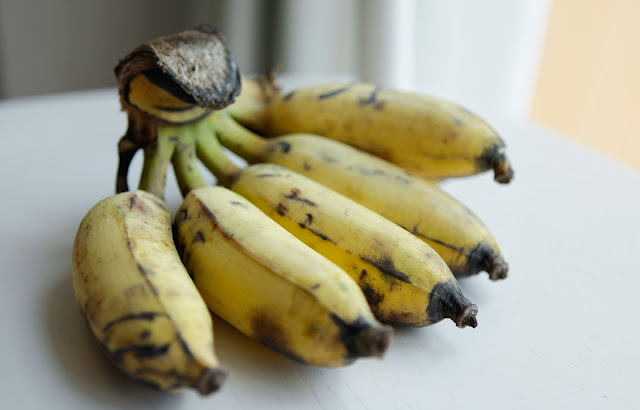 Sugar bananas are shorter with a thin skin and can be found in most Asian grocers. 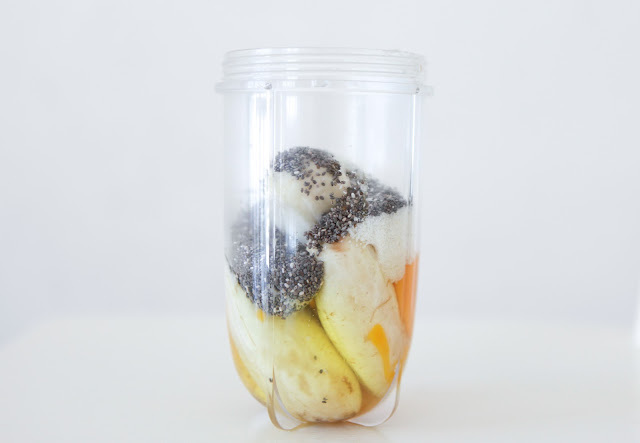 A little note, chia seeds are not technically GAPS approved. Please leave them out if you are still working on healing your tummy, you can substitute with some slivered almonds for texture.